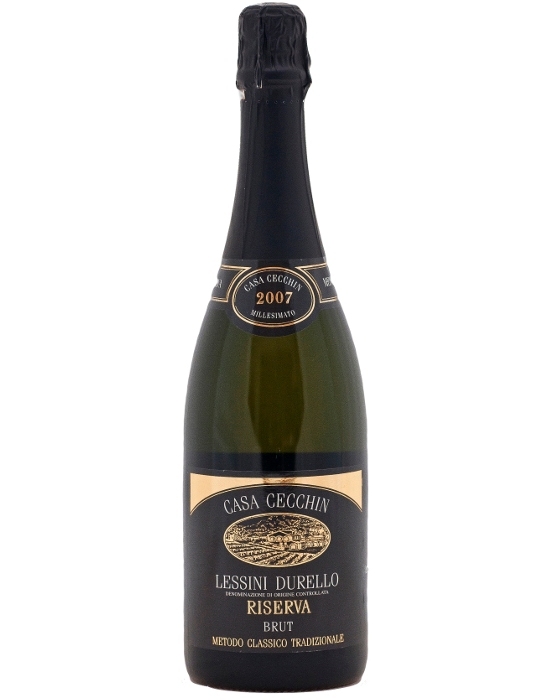 Produced by ( Casa Cecchin - VENETO ). A superbly elegant vintage spumante from a single vineyard, which has been made with all the care of the classic champagne method. Although this grape is mostly used for simpler wines, this is its highest expression. it is matured for 36 months and delivered bone dry, herby and full of minerals. It is a pale yellow colour, flecked with gold, with a good mousse, and fine, persistent bubbles. Yeasty aromas are followed by tropical fruit laced with toasted hazelnuts, and on the palate a satisfying acidity is backed by a streak of fresh minerality with a long finish. A wonderful sparkler from an undervalued vine – the entire production method is natural and traditional, although they have never applied for organic certification.